Hair loss, fortunately, is usually a subtle condition that occurs over a long period of time. As the years pass, hairs fall out without being replaced. Just about everyone experiences some degree of hair loss as they progress through the years, mostly without going bald. Magnesium oil can play an important role in slowing down, stopping and even reversing mild to moderate age-related hair loss. Every cell in the human body requires magnesium to make over 300 enzymes, most of them related to the production and storage of energy. The cells lining the hair follicles are no exception, but because they are not served by major blood vessels, they don’t always get their share of the body’s magnesium supply. There is no simple rule that says if you get enough magnesium, your hair grows and doesn’t fall out, and if you don’t get enough magnesium, your hair stops growing and falls out. The problem with your hair is a little more complex than that. In the hair follicles, it is the ratio of magnesium to calcium that is key. If your hair follicles receive enough magnesium but too much calcium, or a normal amount of calcium and too little magnesium, the follicle does not generate hair on schedule. The hair on your scalp goes through three phases of its life cycle: anagen, when it is growing, which is about 90% of the time, telegen, when it is resting, which is about 8% of the time, and catagen, when it falls out, which is about 2% of the time. The complete life cycle of a hair on your scalp is 3 to 4 years. It can take between 3 and 4 years for you to see the results of excess calcium (either from diet or from washing your hair in hard water) or deficient magnesium, at least on your scalp. And to be honest about it, while magnesium oil treatment of your scalp is something you really ought to do, visible results will be very gradual. Your eyebrows, however, grow a lot faster, completing their life cycle in just 3 to 4 months. If you use magnesium oil on your eyebrows for six months, you have good reason to believe that you can see results of magnesium oil treatment on your scalp over a year or two. Think of magnesium oil as a kind of fertilizer for healthy hair. Just as your lawn needs fertilizer throughout its growing season, your hair needs magnesium oil as long as it is growing. It takes a while for a sick lawn to look healthy, even when you are doing all the right things. Likewise, it takes a while for magnesium oil to play its role in revitalizing your hair even though you need to use it several times a week. What About Using Magnesium Oil If I Am Already Bald? Alopecia is a serious baldness condition that can come on very suddenly, sometimes in just a few days (because of hormonal changes, or perhaps because of stress), affecting the hair of the scalp and elsewhere on the body. Or ‘normal’ baldness comes on over decades, as is usually the case with male pattern baldness. By the time you are slick bald on part or all of your scalp, there is often not a lot you can do, but there are reasons you may want to try magnesium oil anyway. The skin of your scalp still needs magnesium and still is last in line to get its share. Using magnesium oil after you shampoo can restore health to the scalp and prevent problems like dandruff (which can continue even after someone is bald), dull skin, oily skin, and skin outbreaks. It will probably slow down hair loss, but it won’t bring back hair that has been in a velour, peach fuzz state for many years. That’s pretty gutting news for my best pal. He’s as bald a cue ball, but he uses magnesium oil anyway, to help him sleep better. He says since I introduced him to it, he has slept more soundly than he has for many years. Magnesium sulfate, the kind of magnesium found in Epsom salts, is used in hair care products that curl the hair and prevent it from getting frizzy when the humidity is high. Magnesium chloride, the kind of magnesium that is found in magnesium oil, is used to nourish tissues, including the scalp. The problem with magnesium sulfate is that it can form crystals in the hair. It keeps hair from frizzing, but it also causes hair to tangle. You can avoid this problem is you treat your hair with a leave-in conditioner after you use curling products, most of which are not marketed as containing magnesium, even though they do! You can avoid this problem if you use magnesium oil to curl your hair. It won’t give your hair as much curl, but it won’t damage or cause it to tangle either. 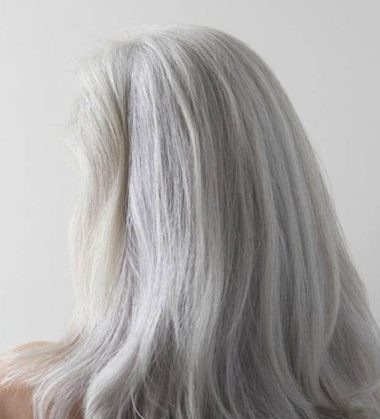 There is not much doubt that gray hair is usually magnesium deficient, but does that mean that using magnesium will bring its natural color back? Actually, the answer is yes. But because hair is very slow-growing, it can take a while. Results usually take about two years. You can get good results by taking magnesium citrate or magnesium glycinate supplements by mouth. These forms of magnesium are more completely absorbed than magnesium oxide, used in cheaper supplements, so they are less likely to cause diarrhea. Prevention, of course, is better than cure. Using just a ‘dab’ of magnesium oil on your hair every time your shampoo, will prevent graying, unless you have an incident involving overwhelming stress, like a heart attack or developing diabetes. And if you have had hair color disasters when you tried to cover up gray at home, keep some magnesium oil on hand for hair repair. It won’t undo an overdose of, say, Hair for Men. But it will keep hair from tangling and frizzing and looking even worse. It also works for eyebrows and beards. What about other natural products for bringing color back to gray hair? The Chinese herb used for treating gray hair is he sho wou, but he shou wou is always used in a formula with other herbs, never by itself. Go with products that are made by Chinese over the counter product makers in Taiwan or the USA. Don’t bother with two-herb combinations like he shou wou and fenugreek seed. They won’t hurt, but they won’t help. So, how much do you use? 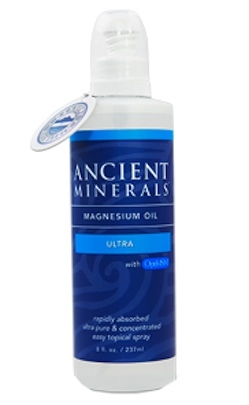 What dosage of magnesium oil is sufficient, or is too much, for using on hair or on your scalp? You don’t need much, unless you’ve got a giant head! The area of your head is only big enough to require a few milliliters of solution, a few times per week. 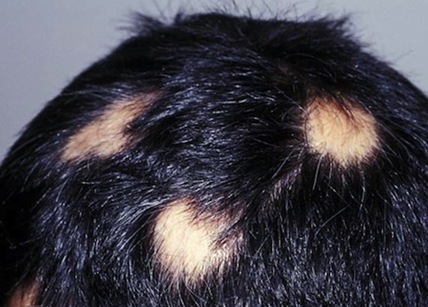 Cotton DW, Porters JE, Spruit D. Magnesium content of the hair in alopecia areata atopica. Dermatologica. 1976;152(1):60-2. Godfrey S, Staite W, Bowtell P, Marsh J. Metals in female scalp hair globally and its impact on perceived hair health. Int J Cosmet Sci. 2013 Jun;35(3):264-71. doi: 10.1111/ics.12033. Epub 2013 Jan 24. Kim SN, Lee SY, Choi MH, Joo KM, Kim SH, Koh JS, Park WS. Characteristic features of ageing in Korean women’s hair and scalp.Br J Dermatol. 2013 Jun;168(6):1215-23. doi: 10.1111/bjd.12185. Hello Andy great article.. I am having serious hair fall issues from last year. Tried many oils and minoxidil too. But no luck. Now from last week i am using Magnesium oil. Hope it does work on my scalp. Just one thing, How do i wash my hair everytime I use magnesium oil?? Is plain water ok?? Because I don’t want to Shampoo everyday. Hi Debo, thanks for reaching out. I would just use warm water, but I think it depends on how much magnesium oil you use, as to whether you need to wash it all out. Try leaving it on over night, then rinsing in the morning if your hair looks a little greasy.